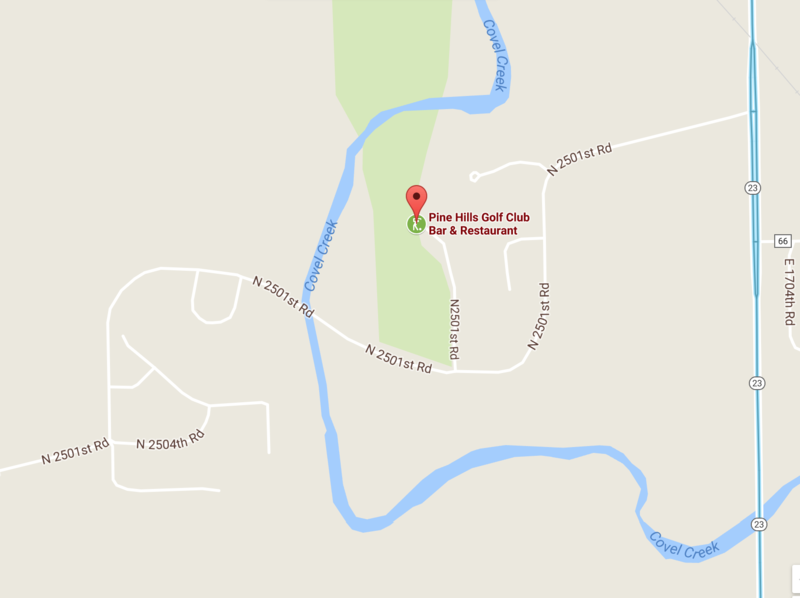 Pine Hills Golf Course is nestled in the heart of Covel Creek Valley. The Johnson house was located at the west edge, above the valley. The street names did not exist in 1968 and for many years after. Our address was the same as everyone else’s out there: Rural Route #4, South Ottawa Township, Ottawa Illinois, 61350. 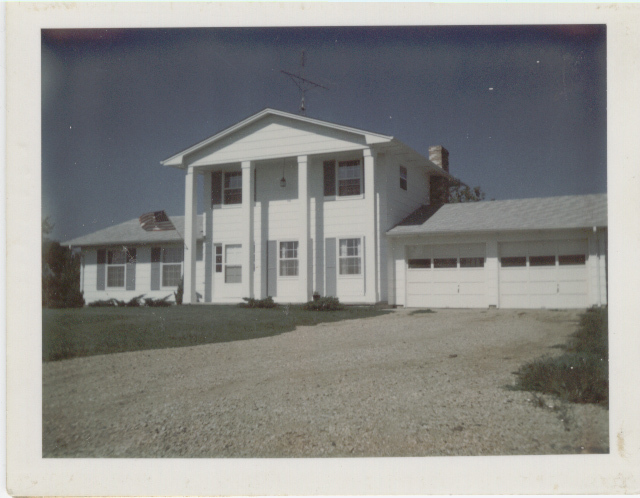 The Johnson family moved from Streator, Illinois, to Ottawa, Illinois, on July 19, 1968. Our family built the house, but during those early months, when we must have driven back and forth to the house, we must have passed the golf course many times. Yet I don’t remember seeing or thinking about the golf course in the run up to move. I had recently turned 11 years old when we moved into the house. I was the oldest of four boys, and already I wanted to be left alone by my brothers, and would do what I could to avoid them. So I hopped on my bicycle. The house we built at the top of the hill overlooking Covel Creek Valley. The geography of the region was quite hilly, probably due to Covel Creek. Indeed, thinking about it now, our house was on the plain above the Covel Creek valley, and the golf course was nestled in the valley. The map of the region shows how Covel Creek winds from the southeast to the northwest, eventually finding its way to the Illinois River. The Illinois River is rather large and wide at that point, and splits Ottawa into the north and south sides. 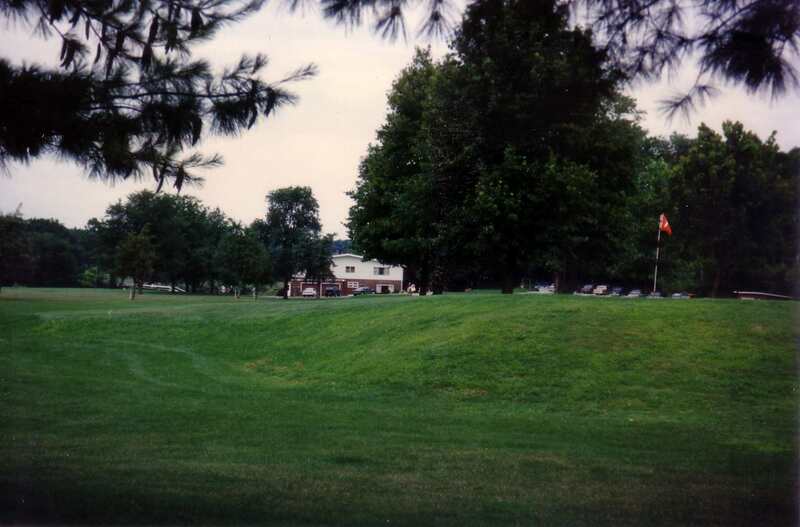 The golf course was only a few miles south of the southern-most boundary of Ottawa. The Illinois River at the top of the image separates Ottawa into the north side and the south side. Pine Hills Golf Course is the green-shaded region to the south. Covel Creek runs from the southeast to the northwest, right through the golf course, and drains into the Illinois River. From Highway 23 to our house, it was about 4000 feet, less than a mile. But those 4000 feet seemed like a large distance because of the hills. Had the golf course not been there, I might have braved the hills and the dangers of Highway 23 and ventured much farther away. But the golf course was like an oasis in the desert, civilization in a rather sparely populated place. The golf course would eventually draw me in and change my life. 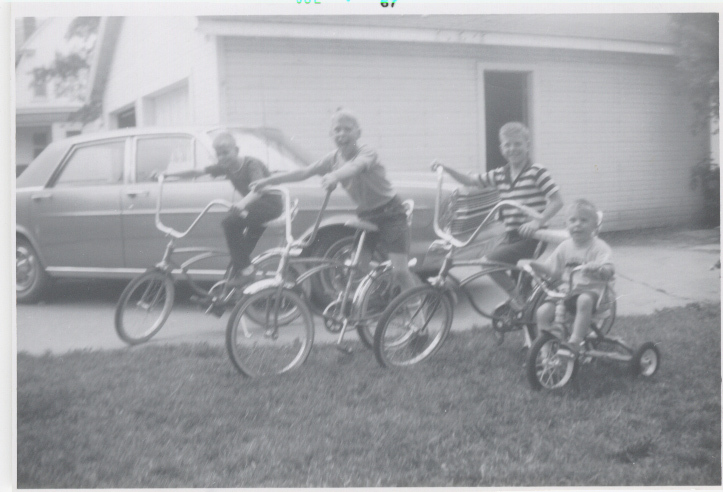 My brothers and I (I’m second from left) with our bicycles. This picture was taken in Streator, maybe a year before our move to Ottawa. There wasn’t much for an 11-year-old to do in that neighborhood except to ride the bike I’d gotten for Christmas when I was seven years old. By the age of 11 I was starting to outgrow the bicycle, but there were no plans to purchase me a larger bicycle, and besides the neighborhood was so hilly that I really didn’t have any desire to ride my bicycle anymore. I guess I was starting to grow up. But in the summer immediately after our move there, I did bicycle around as I had done in earlier places. I rode as far as seemed comfortable. It was understood that I would not ride out on Highway 23. That was too dangerous. To the west the road became a gravel road which seemed to go off to nowhere, probably toward farms and farmland. I had no interest in riding a bicycle on gravel. 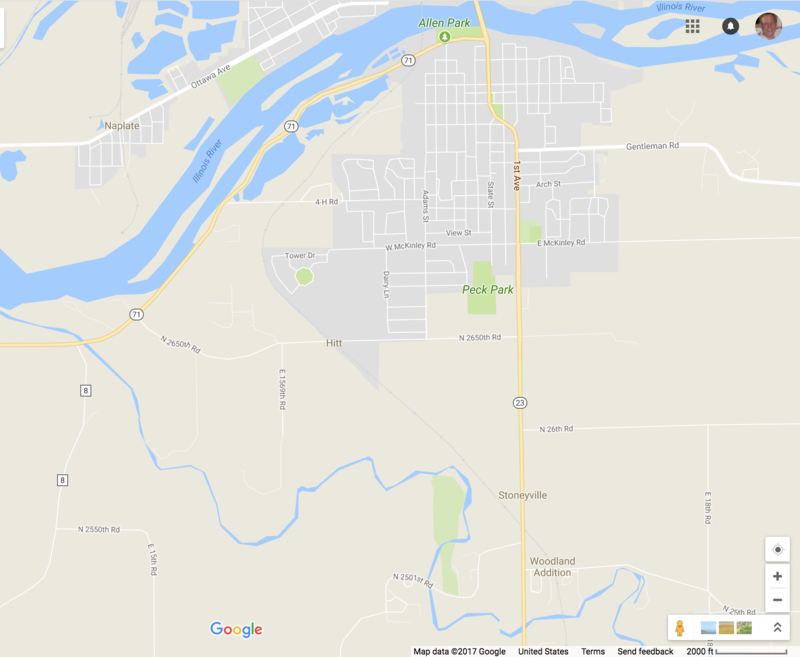 So my life was pretty much constrained to be between Highway 23 on the east and our house on the far west edge of the neighborhood above the valley. Initially the creek had a lot to offer. As creeks go, Covel was fairly ordinary, shallow and rocky in some places and narrow and deeper in others. My brothers and I swam in the creek. In fact I remember losing a watch in that creek. But being eleven years old, and growing up, I really didn’t have much interest in swimming in the creek, and soon, except maybe to find a lost golf ball, I gave up exploring the creek altogether. I took this picture in 1994 during a visit. But nothing had really changed since 1968. This is exactly my first view of the golf course, and what awaited me. So this summer was coming to an end. I knew that school would be starting soon. I was going to be in the sixth grade. I distinctly remember sitting on the bicycle one day, looking at the golf course from the road thinking it seemed very peaceful. On a weekday in August there might not have been many people on the golf course at that time. From the road, on the right-hand side, you are looking down the first fairway. On the left hand side you were looking down the second fairway. But at that point in my life I didn’t know anything about golf, or which holes those were. All I knew and understood at that early time was that I was looking at a very large expanse of grass and a clubhouse some distance away. I was a shy eleven year old boy, alone on an undersized dirt bike, with no real social skills. And I found myself contemplating riding over to the clubhouse. A somewhat frightening prospect. But there was nothing else to do in that neighborhood. 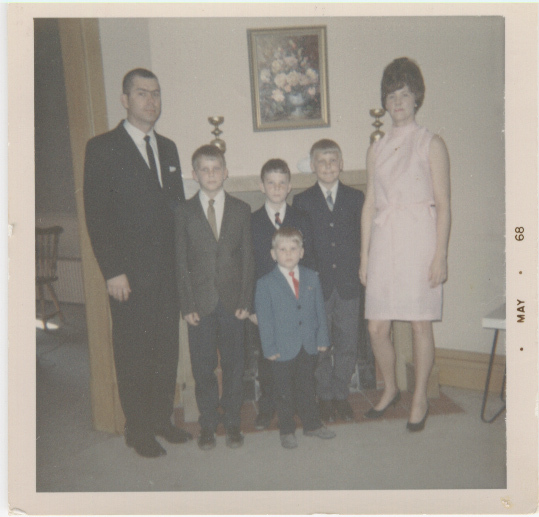 My family, taken in May, 1968, just two short months before our move to Ottawa. I’m on the right next to Mom.